I didn't know about Scarlet In The Snow! I've added it to my ever-growing wishlist xD I'm a sucker for pretty covers and Beauty and the Beast retellings, and this story has both. Thanks for sharing, Mel! Been seeing Unhinged around, never did read the first one in that series. The first WoW pick here looks pretty awesome! Awesome choices!! I love the cover of Unhinged!! 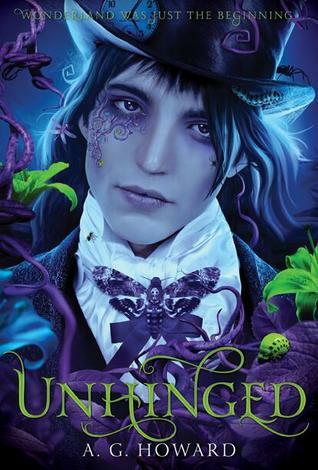 I so want to read Unhinged :( And I hope Alyssa ends up with Morpheus. That guy is a manipulator, but at least he's much better than that control-freak Jeb. On a brighter note, the cover is so pretty! So Wonderland-ish and purple (favorite color). Scarlet looks good! Hope you get to read it soon! I'm probably the only person who doesn't like the cover for Unhinged. I loved Splintered's cover, it was pretty, but this one is a bit too... odd for my taste. :P But Scarlet in the Snow sounds great, though! I hadn't heard of it before your post, so thanks for putting it on my radar, Mel! OHMYGOSH, Scarlet in Snow sounds SOOO good and magical and romantic. Totally adding this to the top of my list to find and read! Thanks for sharing Mel! And I love the cover for Unhinged. Compliments Splintered so well. I still need to read that one too. I'm so excited for Unhinged, it sounds so amazing...and that cover is to die for. I haven't heard of Scarlet in the Snow but it sounds fantastic as well. Great picks Mel! I am so excited about Unhinged and Scarlet in the Snow sounds really good! Oh my gosh this is the first I've heard of Scarlet in the Snow. I need to look into that one. It looks amazing. Thanks for sharing! Scarlet in the Snow looks amazing-I can't believe I haven't heard of it before. Thanks for introducing it to me! Looking forward to Unhinged. I did love, love, love Splintered but I enjoyed it enough to try a sequel. Not sure about that cover though...probably spoiled by the first one which was so freakin' fantastic that I want to hang it on my wall! These two sound so intriguing! Hope you'll enjoy them. Thanks for dropping by my WoW. 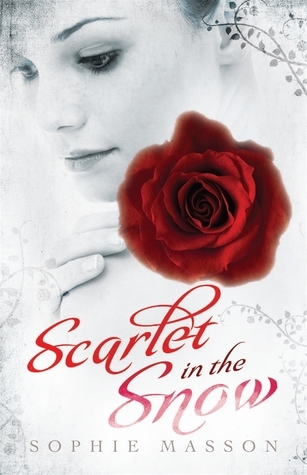 Ooh, I have a copy of Scarlet in the Snow! Unfortunately I couldn't get into it, try as I might- it just seemed quite stiff and didn't work for me. I look forward to hearing what you think of it! Oh wow, look at that cover for Splintered! 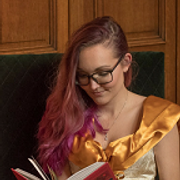 I haven't read the first book, but I want to! And I saw Scarlet in the Snow this week at the shops, and I almost bought it!! Thanks for visiting my blog, and I'm sorry for not visiting last week!